Medium (1" - 1-3/4") "A" - 1pc. Medium (1" - 1-3/4") "Extra" - 1pc. Lithium Quartz Pendulums (Brazil) - These polished Lithium Quartz Pendulums are made of Clear Quartz containing pink inclusions of Lithium. Our Lithium Quartz comes from the Cigano Mine in Bahia, Brazil. To date, this region of Brazil is the only place on Earth where this beautiful Lithium Quartz is found, and annual production of this mineral is small. Most Lithium Quartz specimens found are single points, and while clusters do exist, they are quite rare (and very expensive). 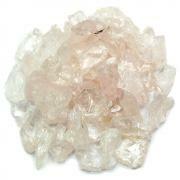 Lithium Quartz Crystal is pure Clear Quartz with inclusions of magenta/mauve - colored Lithium ions. The Lithium is often seen as phantoms, and most of these Lithium Quartz Points do contain phantoms. 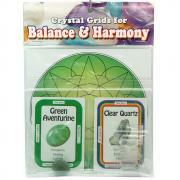 It is the presence of the Lithium that makes this Quartz Crystal so special. The Lithium contained in this Quartz is the same mineral used in antidepressant medication, but in its pure form as it comes out of the Earth. 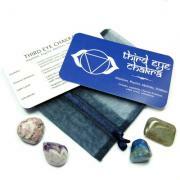 When combined with Clear Quartz, the natural antidepressant properties of Lithium are amplified.